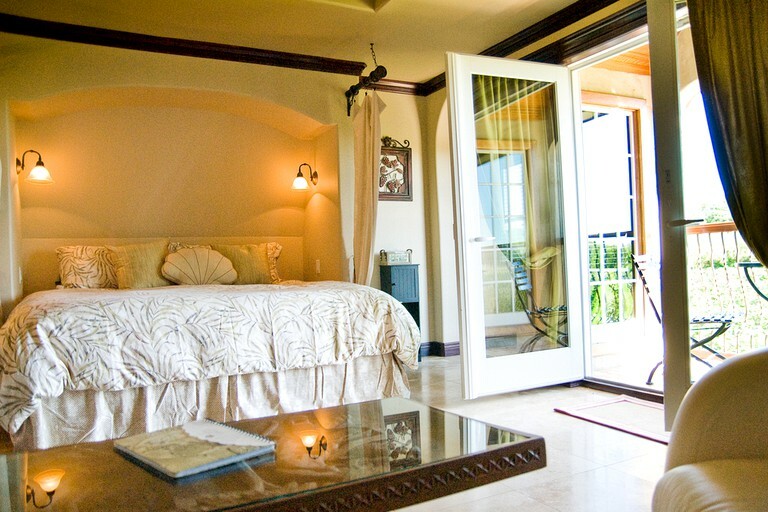 This romantic getaway is located on a vineyard on Long Island, New York, and can accommodate two guests. 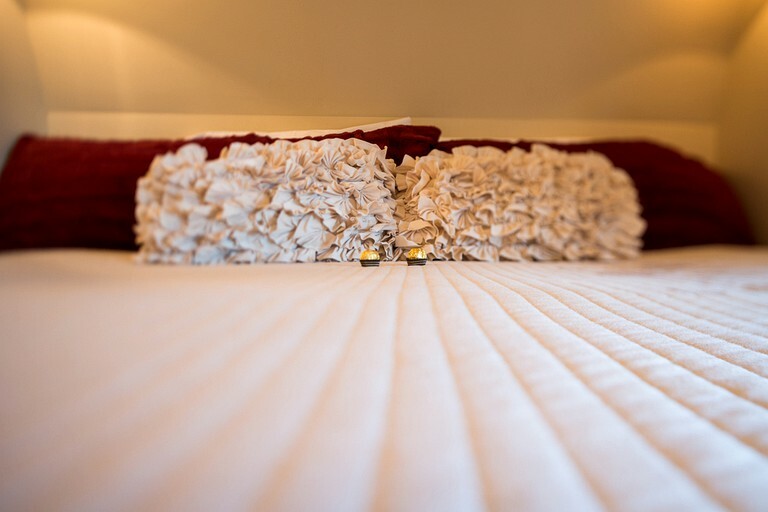 There is one bedroom with a luxurious king-size bed and one private bathroom. 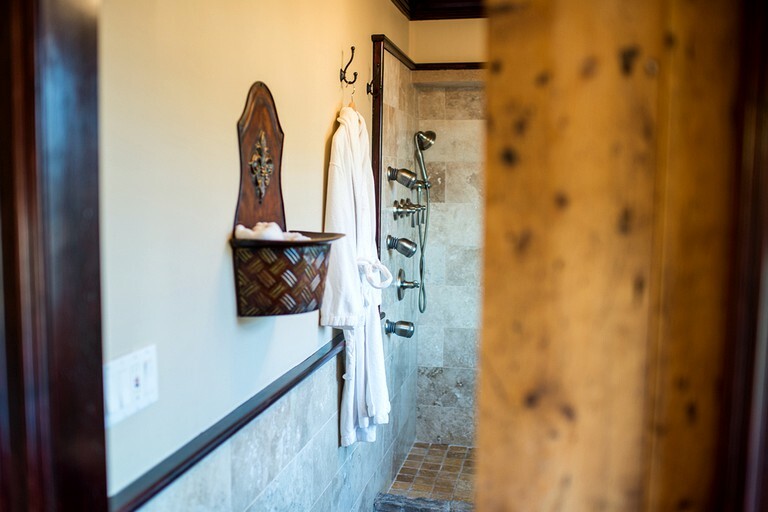 In the marble bathroom, guests will find a toilet, a sink, and a bath with a rain head and body jets. 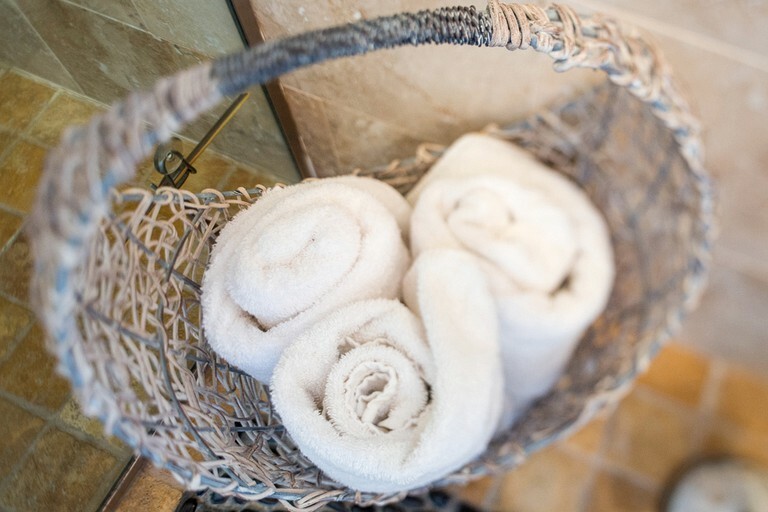 Linens and towels are provided. 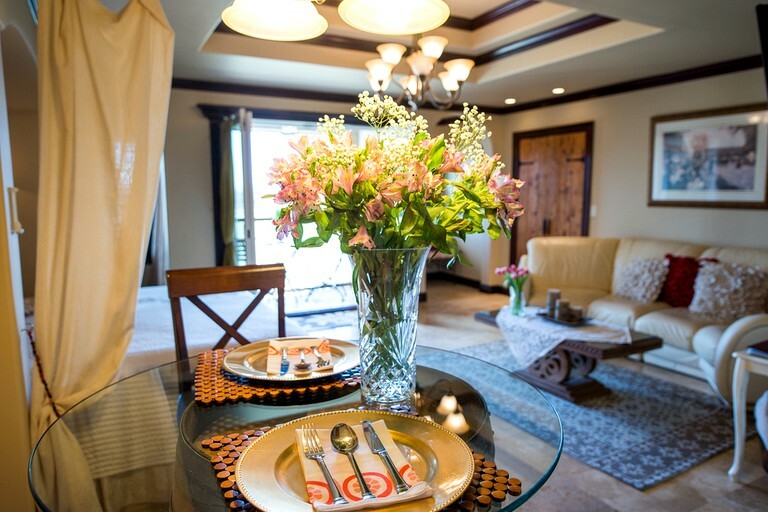 A small dining area can be found in the room as well. 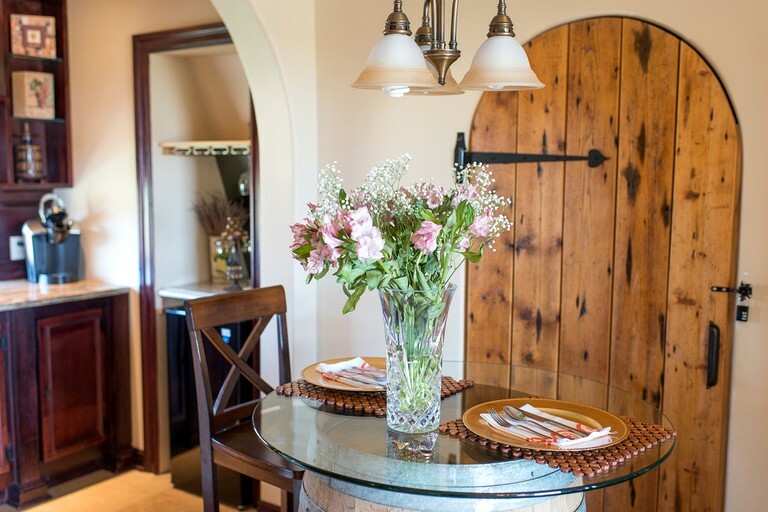 Following the decor of rustic elegance, the table is actually an antique wine barrel. Kitchen facilities include a refrigerator, a Keurig, and an espresso machine. 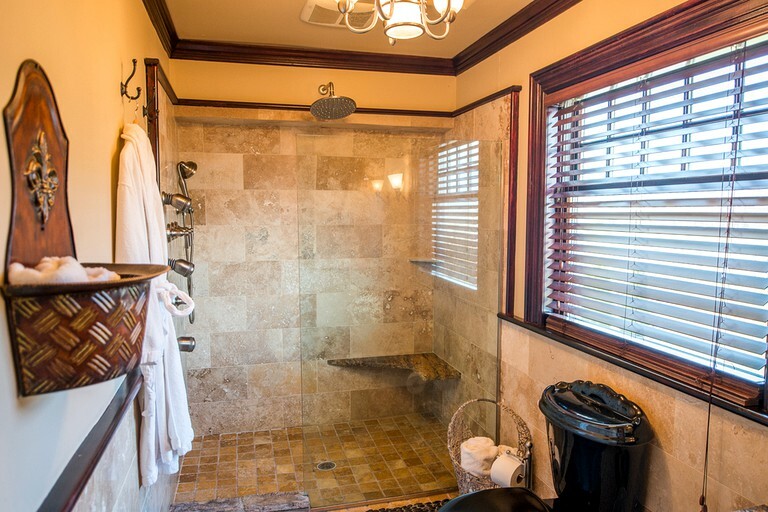 Other amenities include Wi-Fi and a 42-inch flat-screen TV with a DVD player. 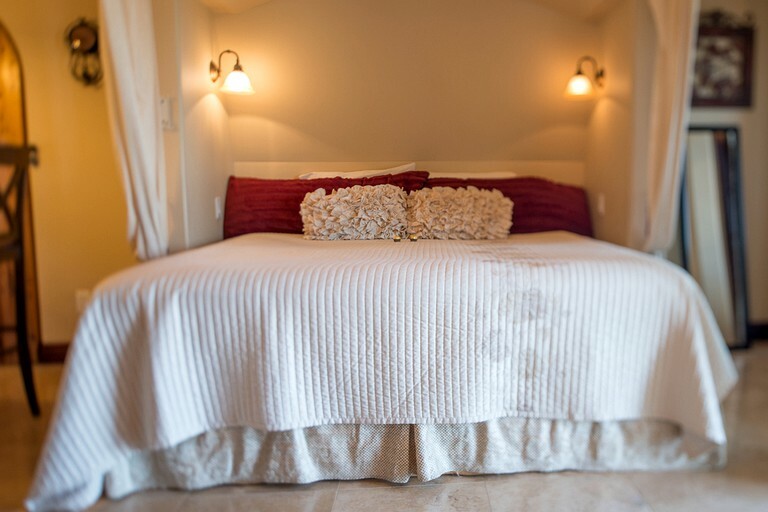 Glampers will enjoy luxury facilities in this ravishing rental. 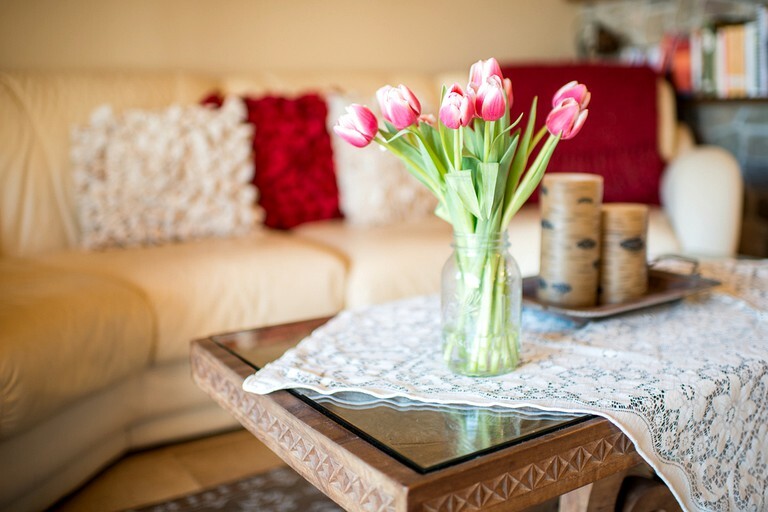 Wi-Fi service is provided to allow connection to friends and family back home. 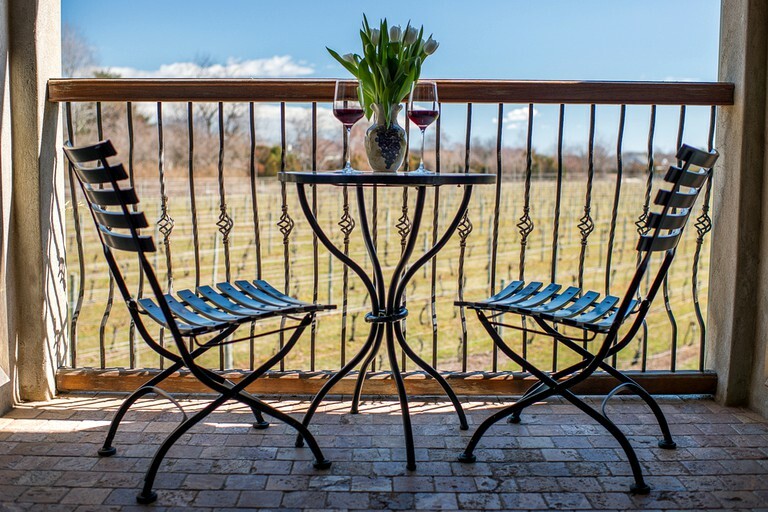 A private balcony overlooks the stunning vineyard and offers the perfect spot for a morning cup of coffee. Beach passes, towels, and chairs are provided and encourage renters to take advantage of the sun, sea, and sand that awaits them. A chef prepares a full hot breakfast that is delivered to the guests every morning. 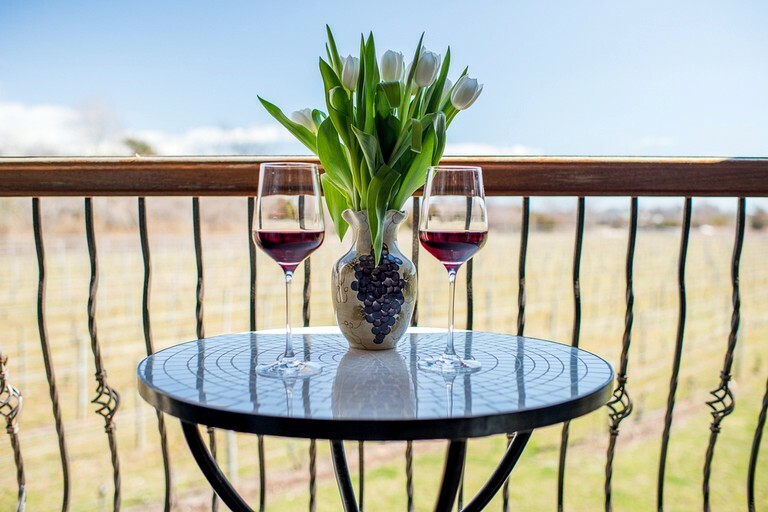 Complimentary wine tasting and cheese platters are also provided. 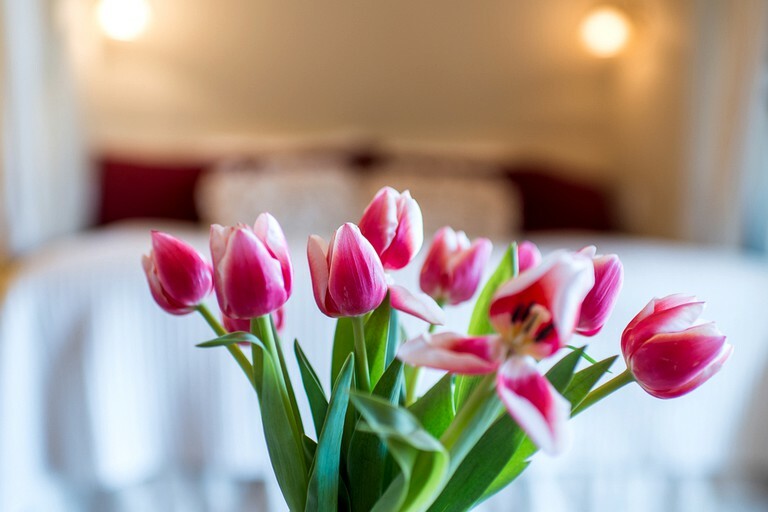 Packages may be purchased for an additional charge such as a bouquet of flowers, local sparkling wine, a bridal party package, wine-blending class, winery tours, or one-hour in-room couples massages. 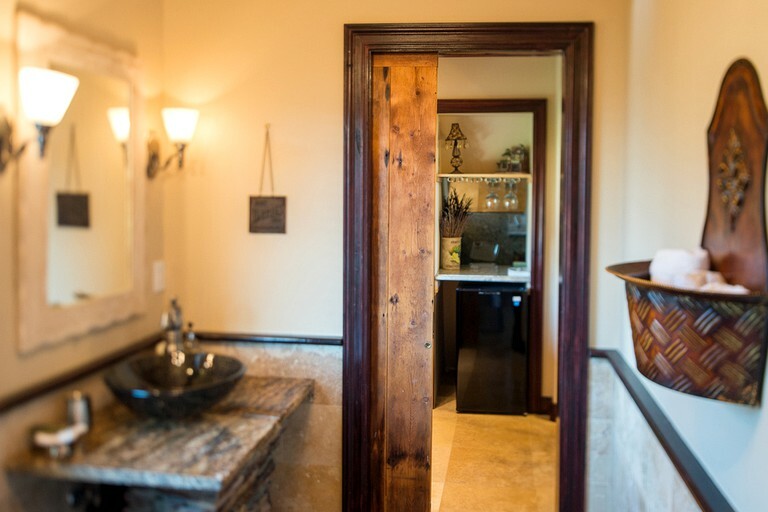 This superb location offers an opportunity to truly relax and unwind. 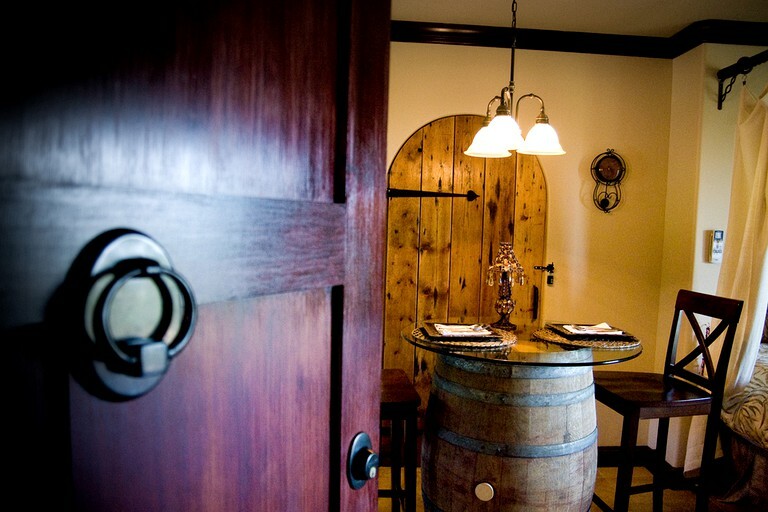 The most popular activity for guests here is enjoying the wine tasting on-site in the vineyard's rustic barn. 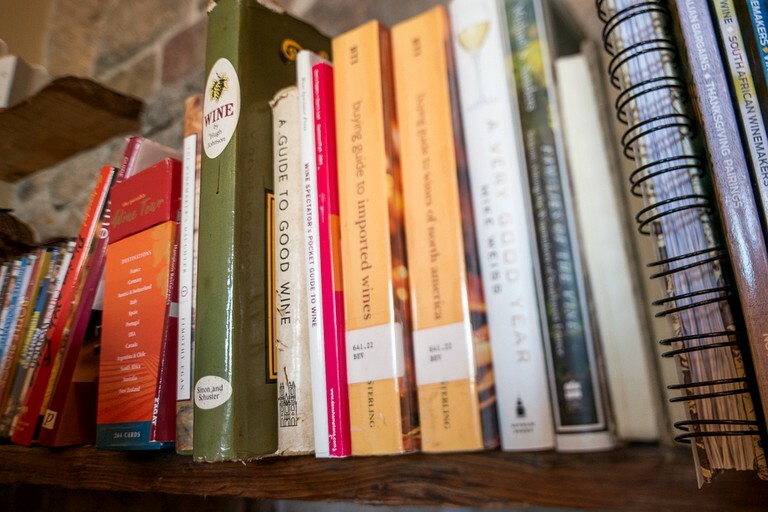 Other quiet activities could include curling up with a book on the private balcony, practicing yoga, or watching a movie on the 42-inch flat-screen with a DVD player. Beach lovers will love the chance to grab a towel and a chair and go soak up some sun at one of the local beaches. Other activities nearby include walking, biking, and shopping. Children under the age of 16 are not permitted, and pets are also prohibited.